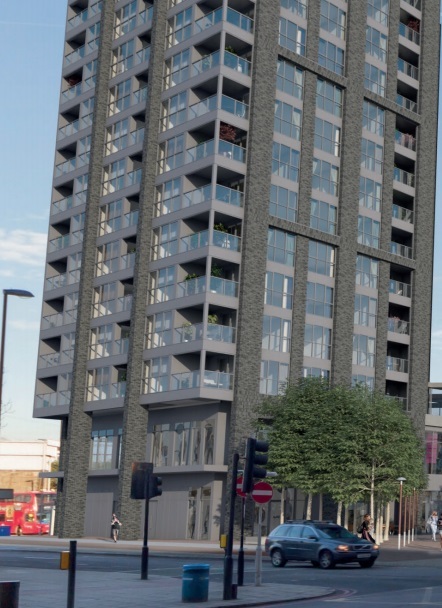 Plans for a 30 storey tower at the Carpetright store beside Lewisham station are to be revised after land was sold. Previous plans included 242 flats and a new entrance to Lewisham station. 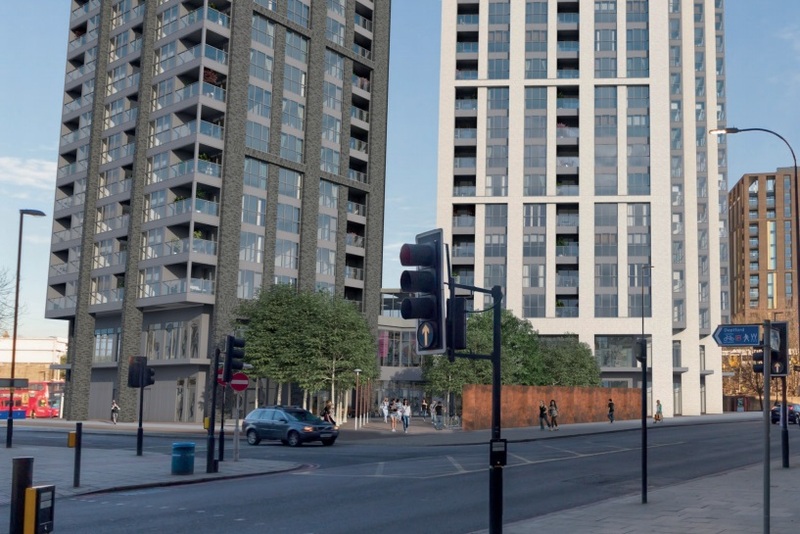 Columbia Threadneedle brought it forward to approval in February 2018 before selling to Tide Construction. The previous plans were covered on this site. I liked the form of some buildings but the drab colour palette (mostly greys) and street level overhang made it appear lumpen and domineering. A wall-like effect was present on Loampit Vale offering no active frontage onto the busy road alongside. Design revisions are planned. New owners are also looking at converting the block to student accomodation. Not normally a recipe for good design. To see revised plans there is a consultation event next Wednesday 12th December at Glass Mills leisure centre (just over the road from this site) running from 4-8pm. The CarpetRight store has already closed and I didn’t even realise. I guess that was part of the problem, not enough custom.